How does climate change, rewilding and Planetary Boundaries go together? Climate change is undoubtedly one of the biggest challenges of our modern world. But as soon as one starts dwelling into the issue, the environmental Pandora’s box is open and so many other issues arise forming this seemingly unsolvable wicked problem. Greenhouse gas emissions are warming up the atmosphere and leading to irreversible damage to our environments. But other aspects are also crucial to examine when talking about the Anthropocene. The Planetary Boundary framework (1) is a model developed to explore the limits of our planet in supporting human activities. The 9 planetary boundaries include different processes such as climate change, biodiversity loss, land use, etc. It identifies zones of uncertainty beyond which the processes can get out of control and reach points of no return. The model offers a complementary approach to other sustainability frameworks that goes beyond the “CO2 only approach”. 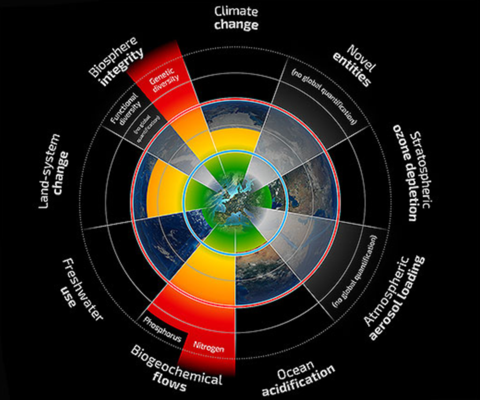 Looking at the Planetary Boundaries as they are today, it is easy to feel discouraged. But the system was thought to create a way to act on several fronts against environmental threats in order to reach safe operating zones. It aims at creating science-based targets on which humanity can rethink the Anthropocene. Loss of biosphere integrity is the most obviously connected to rewilding and ecosystem restoration, but all of the boundaries are connected and equally important to deal with. What is a desirable future? The planetary boundaries model seems to be a holistic way to deal with several environmental issues in order to create a desirable future in the “safe operating space of humanity”. What is a desirable future then? 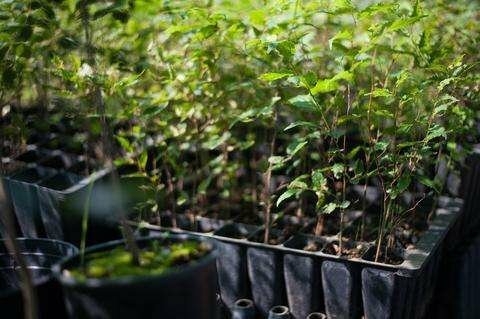 We believe that ecological restoration of degraded and abandoned land through rewilding would have the multiple benefit of helping the recovery of our natural systems while bringing people in relations to their environment. If rewilding obviously helps restoring biosphere integrity, it can also have leverage on other planetary boundaries like nutrient cycles or climate change by creating or maintaining carbon sinks. Indeed rewilding is usually done on abandoned agricultural land, actively reversing land use and giving more space to wilderness.